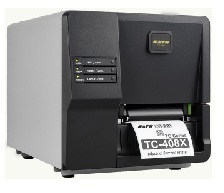 Thermal transfer printers | Ardpol sp.j. CL4NX is an universal, innovative family of SATO printers, designed with the operator in mind who can use it irrespective of experience. Provides support for older and new applications. 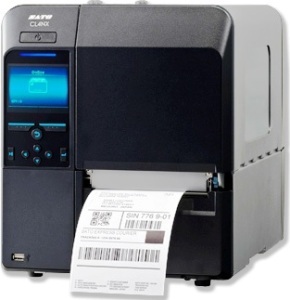 SATO CL6NX is a universal, innovative family of SATO printers, designed with the operator in mind who can use it irrespective of experience. Provides support for older and new applications. 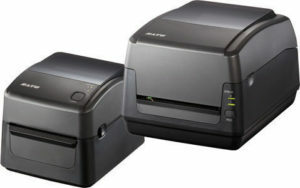 The WS4 desktop printer has an attractive and stylish design. Like industrial printers, it is made of solid and durable materials. It has a high media capacity and guarantees excellent print quality. 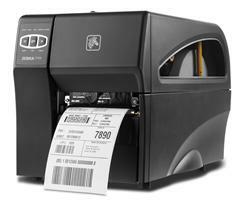 Designed for the needs of the logistics industry, health care, retail and manufacturing. It has flexible multimedia capabilities and provides low operating costs using a large 300-meter-long tape. Ideal for medium-sized applications where reliability and flexibility are key elements of operation. New printer options include: feeder, cutter, unwinder. WS4 is equipped with emulations of commonly used printer languages, as well as a choice of wired options and wireless interfaces for comprehensive connectivity. 300 m tape – the TT model has room for a large 300 meter long ribbon, thanks to which the exchange time is minimized. The TC series is a series of industrial printers, characterized by lightness and perfectly harmonized set of functions, in a durable, metal housing. The TC printer meets all printing requirements, and its large complement of 8MG Flash and 8MB SDRAM memory ensures smooth and stable operation. Built-in fonts SDPL: 9 fonts in different size, 6 fonts with "ASD smooth font", Courier font with different set of symbols. SZPL: 8 (A-H) fonts in various sizes. 8 AGFA fonts: 7 (P-V) fonts with different sizes (cannot be resized), 1 (0) font with the possibility of rescaling. the highest quality of printing. 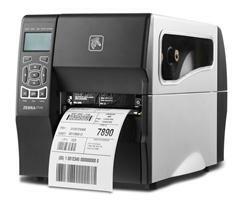 Zebra label printer ZT220 is an easy-to-use device, ensuring high quality, long-lasting printing at an attractive price – durable polymer housing, ensures comfortable use. USB / RS232 connectors, Wifi – thermal transfer print. 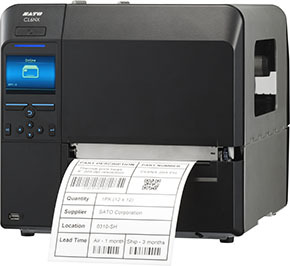 Zebra label printer ZT230 is an easy-to-use device that provides high-quality, long-lasting printing at an attractive price – a durable metal housing ensures long-term use. USB / RS232 connectors, WiFi – thermal transfer print.